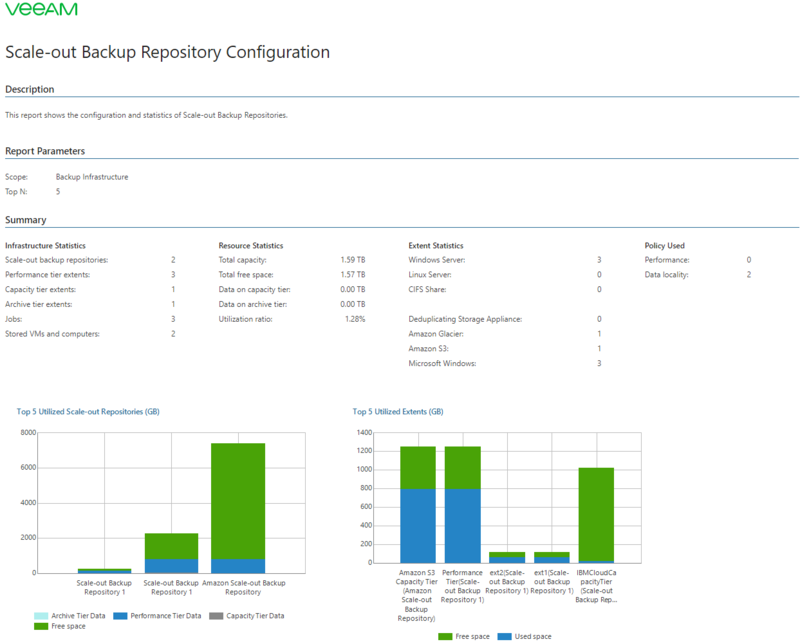 The report provides configuration and resource utilization details for scale-out backup repositories in Veeam Backup & Replication. The Summary section provides an overview of configured scale-out repositories, such as the total number of the connected repositories, their capacity and utilization ratio, number of extents, their types, and a policy used for each repository. The Top N Utilized Scale-Out Repositories (GB) and Top N Utilized Extents (GB) charts show most utilized scale-out repositories and their extents, total capacity, used space. The Overview table shows the list of extents in the repository, their type, type of stored backup files and maximum number of concurrent tasks. The Dynamics of SOBR free space usage chart shows scale-out repository space usage dynamics over the past month. The Details table provides information about extent capacity and free space in GB, size of full and incremental backups, and the number of VMs and computers stored on each extent. 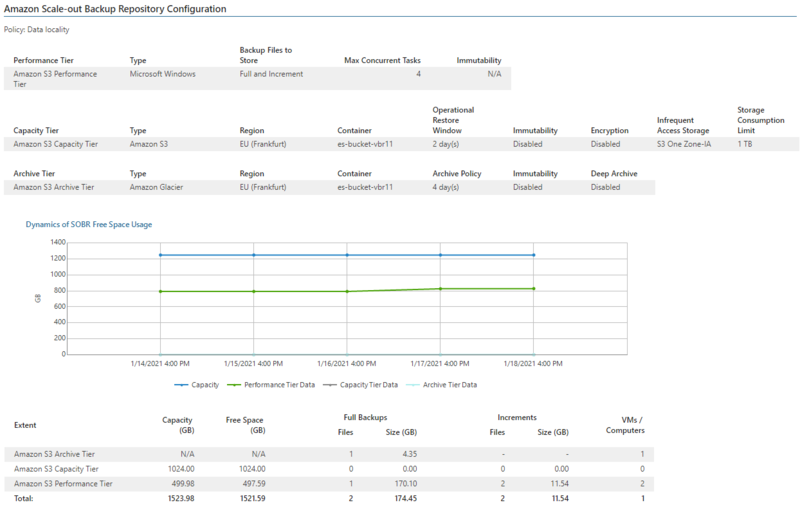 The report shows configuration and utilization data for scale-out backup repositories and their extents. Top N: defines the maximum number of scale-out repositories to display in the report.